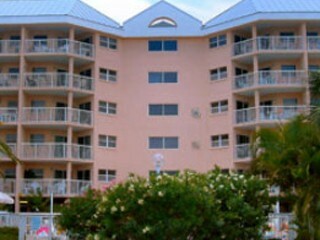 Voyager is such a great place to stay! 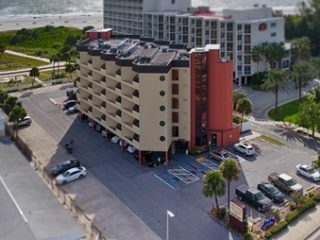 The convenience of being right in the heart of Treasure Island is wonderful and you can’t beat the great rates. The staff at the Voyager are always so helpful and friendly. We love the Voyager and look forward to visiting year after year! Here you will find some Frequently Asked Questions regarding your arrival, departure and general resort information. A. Check-in times are between 3:00 pm. and 4:00 pm. Check-out times are between 10:00 am. and 11:00 am. Please review the terms and conditions on your specific resort page as the check-in and check-out times vary on each resort. Q. Does the resort have a 24 hour check-in? A. No. Most of the resorts do close their front desk office at 5:00 pm. You will have to arrange a late check-in with your resort. Q. How do I check-in after business hours? A. If you are arriving after business hours to check-in to your unit the resort will arrange to leave you a lock box with keys to your unit. Please make sure you have paid your rental balance IN FULL or a lock box will not be provided. You will also need to notify your resort at least 3 days in advance that you are arriving late so they can provide you with a code for your lock box. Please call your resort or the Liberte Management office for additional questions on this subject. Q. Is there daily housekeeping or towel exchange? A. Daily housekeeping is not provided in the room rate. The cleaning fee charge is to have the unit cleaned upon your departure. If you would like a daily or weekly cleaning this service can be arranged for a fee. Towel and linen exchanges are also not provided as part of your room rate. If you would like a towel or linen exchange this service can also be provided for a fee. In the event that your unit is not equipped with a washer and dryer we do have laundry facilities on-site for your convenience. Q. Does the resort provide beach towels or beach chairs? Q. Do you have a pool and/or hot tub? A. 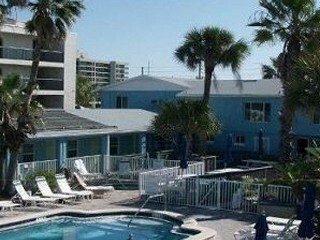 All Liberte Management Resort’s have a pool and hot-tub on-site except for Caprice of St. Pete Beach. Caprice does have a pool but there isn’t a hot-tub. A. Parking is free on all Liberte Management’s resorts. You are limited to one space per unit. If you need additional parking please contact your resort and arrange for additional spaces. If additional spaces are not available there may be a fee to park on a public lot nearby. Q. Does my unit have a kitchen? A. Liberte Management resorts are fully equipped condominium units. Your unit will have a full kitchen and all the dinnerware or utensils you will need for your vacation. Q. Is there a safe in my unit? A. 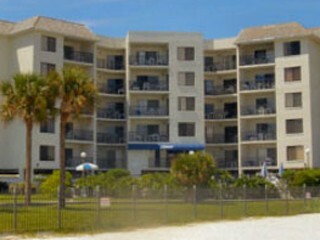 The only property which provides a safe in the unit is All Seasons Vacation Resort. 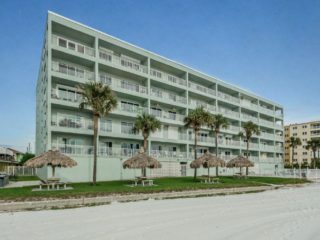 Liberte Management Group and the Resort Association is not responsible for lost or stolen items in the units or on property. Each guest is responsible for their own belongings. Please call your resort or the Liberte Management corporate office for more information regarding this subject. Q. Is there a restaurant on property? A. No. 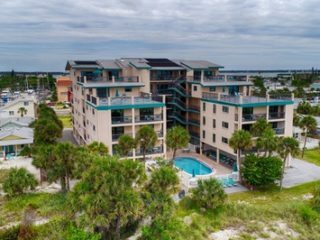 Restaurants are not located on any Liberte Management property however some of the best cuisine on the gulf beaches is only walking distance away. Q. Is there a Gym/Workout Facility on property? A. No. Some resorts do offer a treadmill or elliptical in their recreation room however we do not have any resorts with a full gym. Please contact your resort for location of a gym nearby. They may even be able to help you get some free passes! Q. Are there security guards on-site? A. We do have security officers patrolling the Voyager and the All Seasons after 7:00 pm. There is a 24 hour security phone # posted on all resorts lobby doors and in the information booklets found in your units. 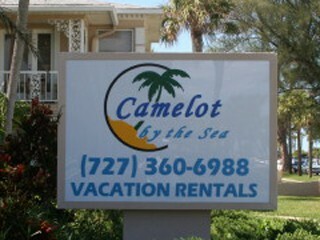 Please call your resort for more details. A. 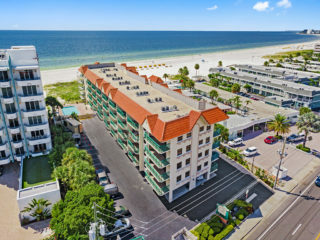 The Gulf Beaches is an beautiful stretch of white sandy beaches. We rank within the top 10 of beach vacation hot-spots. Please view your resorts live web cam to get a glimpse of our amazing beaches. Q. When was the last time the property or unit was updated? A. Improvements to the properties and units is always a priority. Every year there are improvements or upgrades being done on the properties. Please check with your resort to ask about specific improvements and when certain upgrades have been completed. Q. Is there a shuttle service to and from the Airport?